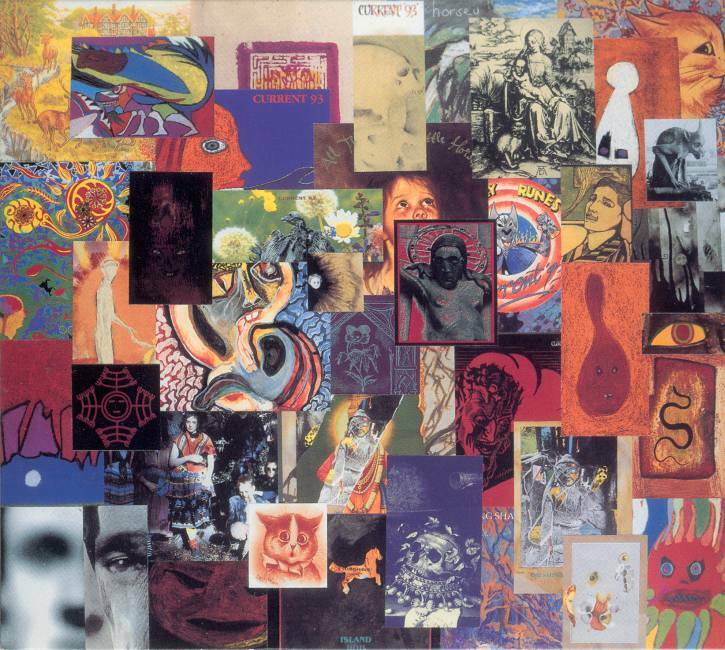 The totality of David Tibet’s work as Current 93 on one album, consisting of one hour-long track. For the average band, this would be for somewhat awkward proposition at best. For Current 93, however, the end result is mind-boggling. For the recording is supposedly every song out of every album in his 20+ album back catalogue, plus every unreleased song he has created (including alternate mixes, both b-side and compilation track inclusions). Thus, for sixty minutes, a veritable flood of noise rushes past your ears, with absolutely no rhyme or reason. Over a hundred guitar rhythms rub elbows with David Tibet’s hissed and half-sung vocals as an astonishing amount of “proto-industrial” sound effects rise up all over the place. While it is possible to isolate a single song and listen in it in it’s entirety, who would want to, given the immense amount of concentration to make it out amidst the dozens of other songs around it? Kudos must be givent to Stephen Stapleton, for managing to keep this album a bewildering curiousity rather than the absolute failure it could have been. This is musique concrete, taken to the extreme, then shoved off of the edge of sanity’s plateau. Those new to Current 93 definitely should NOT start with this album. In fact, fans of Current 93 in general should approach this album with caution. Because, while the aural assault may at times lessen in it’s intensity, there is no stopping this train once it starts. It is an hour-long journey, and you either ride it for the duration of the trip or jump off beforehand. I must admit, that while I have a great deal of patience (cultivated over the years), I have only been able to listen to the entire track straight through once. People who are well-aquainted with Current 93’s formidable back catalogue may find it interesting to identify the individual elements in the album, it is not enough to reconcile the fact that you have basically wasted an hour of your life with the one album in which David Tibet does not have a concrete message to give to the listener. To my knowledge, The Great In The Small remains out-of-print, but it should be available on Amazon.com, E-Bay, and other vendors. ~ by John Lithium on May 19, 2007. This entry was posted on May 19, 2007 at 11:00 pm and is filed under Durtro Records, experimental, Music For The Rest Of Us Archive, out of print.You can follow any responses to this entry through the RSS 2.0 feed.You can skip to the end and leave a response. Pinging is currently not allowed.